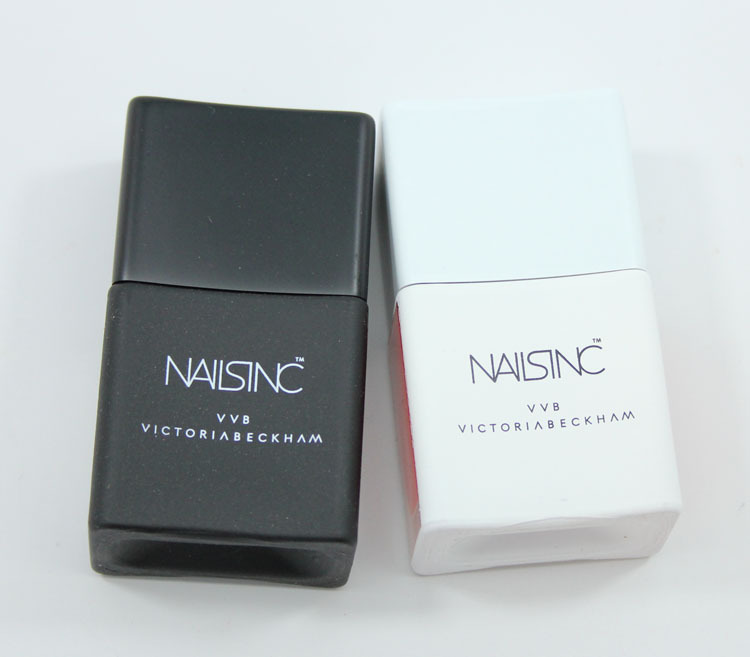 Nails Inc Victoria Victoria Beckham for Spring 2014 has arrived, despite the fact that we just started winter! I can tell you that the VVB bottles are kind of badass though. They are both really heavy (made from Venetian glass) have a matte texture and concave design. For some reason heavy stuff to me feels more luxe, so they definitely appear expensive to my eye. And you also get a frosted-glass peep-hole on each side with the actual nail color showing through, which is nice. Bamboo White is a bone colored creme. I did need three thin coats to get the best coverage but the polish itself was very smooth and nice. It’s not exactly a unique shade but it’s nice looking. Judo Red is a bright tomato red creme. Actually it’s not really red it orange. This too had a really good formula and I only needed two coats. Again I find myself wishing it was more unique though. Overall I love, love, love the bottles but the shades inside are just ok. I guess when you have twenty billion nail polishes it gets harder and harder to impress! These are available online now and globally starting in February for a limited time. What say you about these VVB shades? I’ll be honest, I kind of want these just for the bottles… 😀 They’re just so chic! Kelly B.´s last post…Holiday Party Look! Outfit & Make Up ft. Paula Dorf! Danielle´s last post…NOTD: Matte Hanukkah Dots! 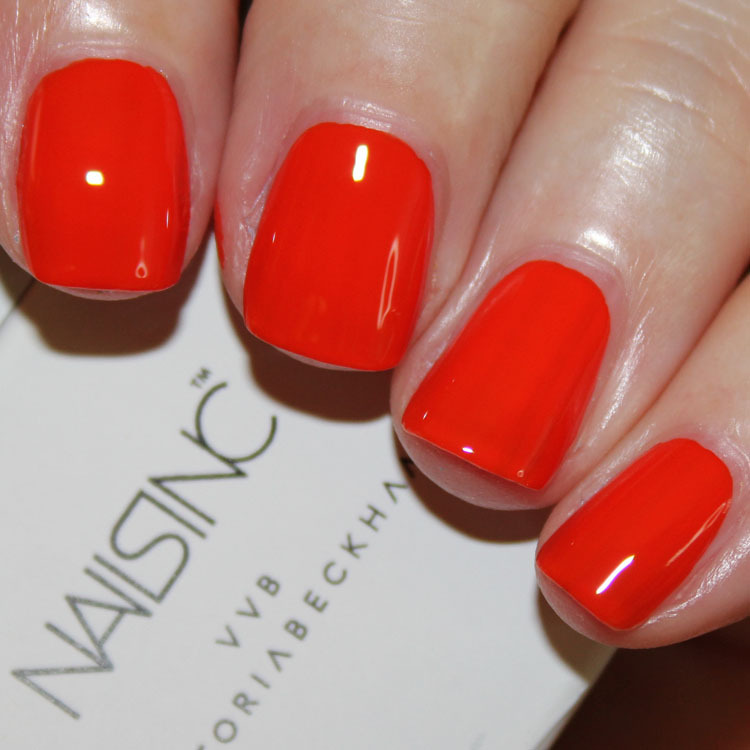 Yes it’s a great summer shade. I agree about liking the bottles, but I’d rather spend my $ on the actual polish. There are less spendy versions of those colors IMHO. The bottles are beautiful so I can see why the polishes are more expensive. That white color looks very pretty and elegant! I love the bottles. I think Bamboo White is nice and I’m not a fan of white polishes. The slight peach and mauve undertones I can see in the polish seem to make it a bit more wearable. Judo would not look good on me but I appreciate the clarity of the shade. I assume these were used for her Spring collection runway in 2015? Not 2014? I don’t find those two shades very interesting. And, that surprises me considering they have a somewhat celebrity name attached to it. 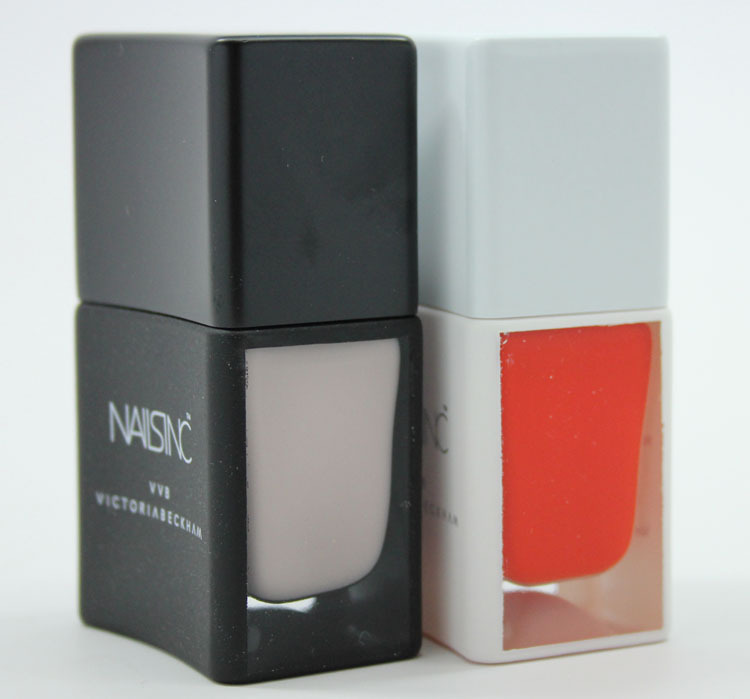 Nails Inc seem to be changing all of their bottles to this shape. I see the appeal, but for me they are too chunky and big and heavy for regular usage. They are also upping their price by about 30% for the new bottles – presumably to cover the cost. It takes the brand out of my regular buy list unfortunately. Too bad, I love their polishes. Not ugly, but boring. PASS! Besides the packaging .. Are the worth the $$ ? What are some comparable dupes to these colors? yes, dupes please!! if you’re going to say ‘this isn’t a unique colour’ maybe mention some ones that it looks like?? ?